One of the UK's leading marine modelling exhibitions. The show provides visitors with a packed exhibition hall with over 600 fantastic models from over 25 club and society displays. The excellent and varied display of models from early warships to modern power boats and ships will be complemented by action on the large indoor boating pool. 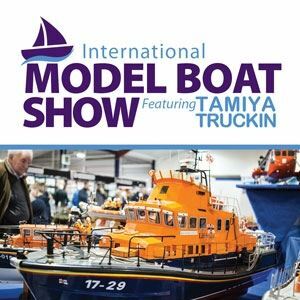 The Tamiya Truckin team will also be demonstrating and driving their 1/14 scale radio controlled models on a roadway system over 80 metres square. See over 20 of the leading specialist suppliers and buy all the latest kits and accessories. Model boats at their best!